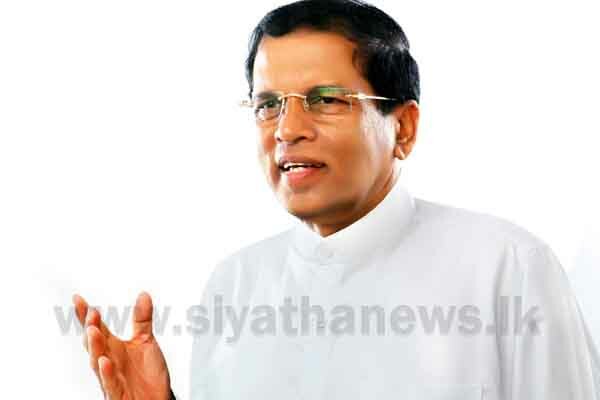 President Maithripala Sirisena has stated that the death sentence must be imposed on those engaging in drug-related offenses. President Sirisena has mentioned this addressing the ‘Janapathi Prashansa’ Awards Ceremony. The ‘Janapathi Prashansa’ awards ceremony felicitating Police officers who played a major role in making the concept of ‘Mathin Nidahas Ratak’, a success is held today (28) at 10.00 a.m. at the Sugathadasa Indoor Stadium. Awards will be given under three categories and accordingly, 15 officers will be awarded the Presidential Medal of Police Gallantry, 59 officers with Sri Lanka Police Gallantry Medal and the rest with Janadipathi Prashansa certificates.